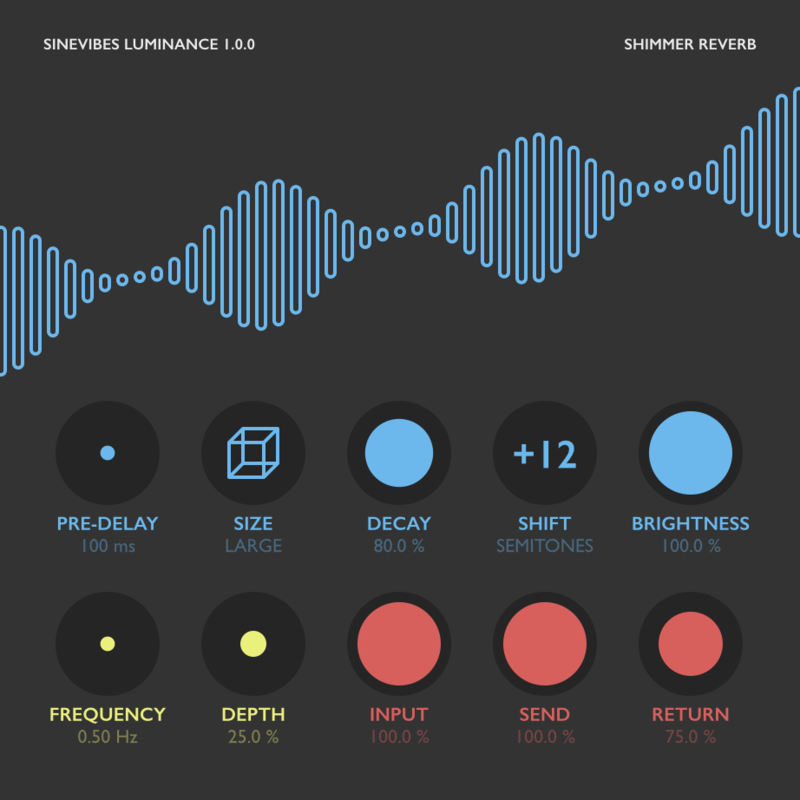 Sinevibes has released Luminance, a new Mac Audio Unit plugin for creating "shimmer reverb" effects - unreal acoustic space simulations which gradually pitch-shift the reverberation tail. 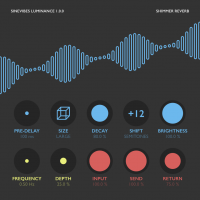 Sinevibes say Luminance is a novel take on this coveted effect, here based on a modern "feedback delay network" design with high-quality interpolation - plus quite a few original tricks such as phase-inverted time modulation, special configurations for damping and signal blending. All this gives Luminance a fresh and highly musical character: it smoothly follows the original melodies and harmonies and creates a lush background sound layer reminiscent of a dreamy symphony of strings or pipe organs. And to ensure highest possible day-to-day usability, Luminance has an easy-to-understand set of finely-tuned parameters. Feedback delay network with 8x8 Hadamard matrix, cubic Hermite spline interpolation and variable time span. Granular pitch shifter and two-pole low-pass filter for shimmer effect shaping. Sine generator with unique phase-flipped modulation routing. Separate level controls for dry input signal, reverb send and return signals allowing multiple routing configurations.